WILMINGTON, NC, August 1, 2017 – Coming off the biggest year ever for U.S. solar installations, Cape Fear Solar Systems is proud to be named one of the top solar contractors in the United States by Solar Power World magazine. 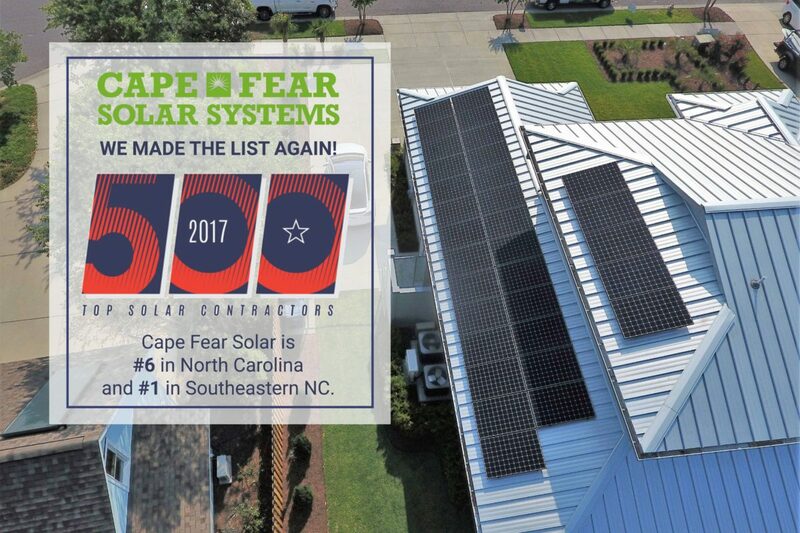 Not only was Cape Fear Solar recognized nationally, making the top 500 solar contractor lists, but they ranked sixth in the entire state of North Carolina, and number one in Southeastern North Carolina for residential solar rooftop contractors. “We are honored to be recognized for our accomplishments nationally and on a state level by Solar Power World. This is a big deal to us because we are a smaller company and pride ourselves in providing exceptional service. Each day, our team arrives to work with a smile and can-do attitude,” says John Donoghue, President of Cape Fear Solar. “I am extremely proud and grateful for having such a skilled team,” Donoghue adds. “We are also very thankful for our customers. Recently we had a customer so thrilled with us and the production of their solar system, they drove almost two hours to our office to thank us with a pound cake that took two and a half hours to make,” Donoghue continued. “The cake was absolutely delicious and we were happy to hear their electric bills are now so low that they look forward to receiving them” He concluded. 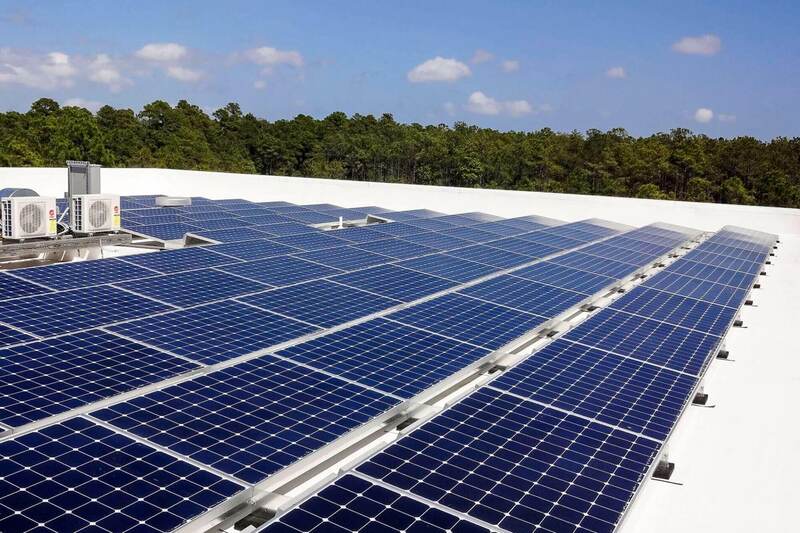 Many of Cape Fear Solar Systems customers have chosen to install solar to hedge raising electric cost and help the environment. 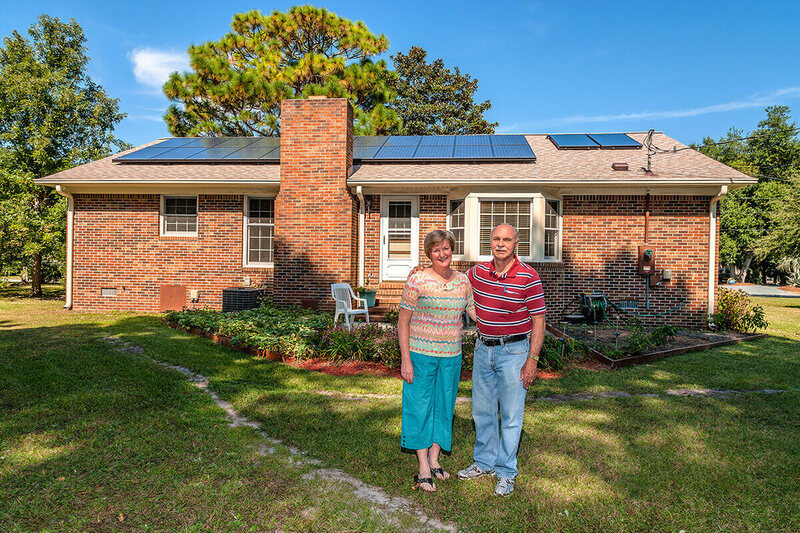 Cape Fear Solar customers are setup with a mobile app, where they have the ability to view their solar systems power production in real-time. They can even monitor their homes energy consumption. Solar is something that can be used today to help create a better future for generations to come. While there are many cost-saving benefits that come along with going solar, there are many environmental benefits. Using solar energy reduces demand for fossil fuels, shrinks our carbon footprint and even limits greenhouse gas emissions. Each home that installs a solar system has a positive effect on the environment and allows for energy independence.